Looking for a great gift idea this holidays season? How about Season Passes to Six Flags over Georgia? 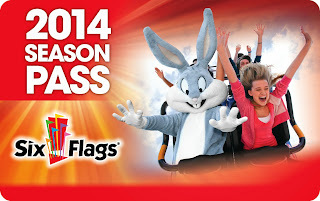 When you have a season pass to any Six Flags Park, you can use your Season Pass at any Six Flags Park! Now howabout having some extra fun this year with the family!! I think this would make for an exciting gift this year for anyone living in or around the Georgia/Alabama area! Think of all the people on your list that could enjoy a season pass to Six Flags! And what about getting season passes for your own family? Imagine how excited the kids would be to find Six Flags Season Passes in their stockings on Christmas morning! And right now, they have a special where if you buy four (4) season passes you will get a FREE Parking pass! Click here to purchase yours now! Six Flags over Georgia is located in Atlanta Georgia and is filled with fun things for the family to do, no matter what their age! 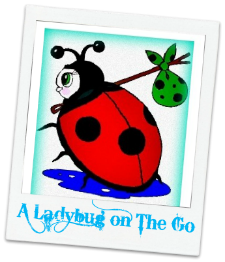 Everything from thrill rides to rides for the youngest family member. There's also shopping and dining at various areas throughout the park. There are events scheduled throughout the year. 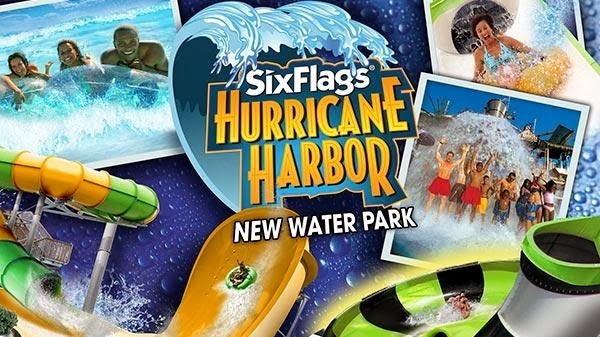 And for the 2014 Season, they will be introducing their new water park, Hurricane Harbor! 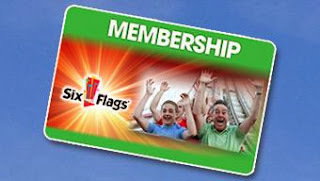 Also new for 2014 is the Six Flags membership card, the same benefits as a season pass, with low monthly payments and it never expires! 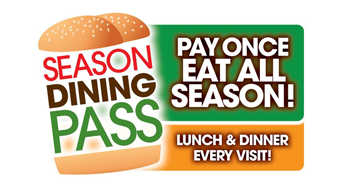 You will also have the option to purchase a dining card for 2014 that gives you lunch and dinner and the dining places at Six Flags Over Georgia. Now, the event you've been waiting for!! This event is hosted by Live, Love...Travel and co hosted by Dixieland Mom Product & Travel Reviews and is sponsored by Six Flags Over Georgia. We'll be giving away FOUR (4) Season Passes to one lucky winner!! 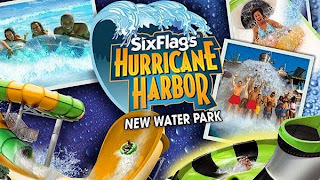 Six Flags over Georgia will be your 'Home' park and you will be able to use them at any Six Flags park. Entry is simple, just follow the instructions on the Giveaway Tool below. This event will begin on 11.25.2013 at 12:01 am and end on 12.05.13 at 11:59 pm, Eastern Standard Time. If you have any questions, please email: Marie@dixielandsdeals.com Winner will be announced here. Disclosure: Dixieland Mom Product & Travel Reviews is not responsible for prize fulfillment. If you have any question please send an email to marie@dixielandsdeals.com. All entries are optional, if you do any of the tasks you can collect the entries, but if the winner task is a task you did not complete, a second winner will be chosen. I love that the six flags over GA is super close to home and I love the Deja Vu that is there! I learned they are kicking off the 2014 season Sat, March 15, 2014.